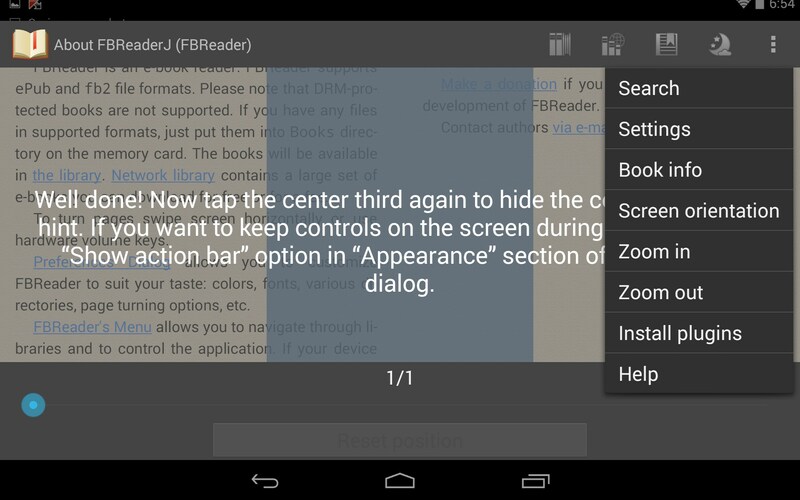 FBReader – Soft for Android 2018 – Free download. 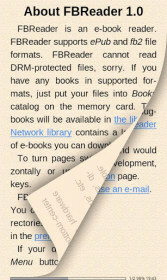 FBReader – A no-frills e-reader. 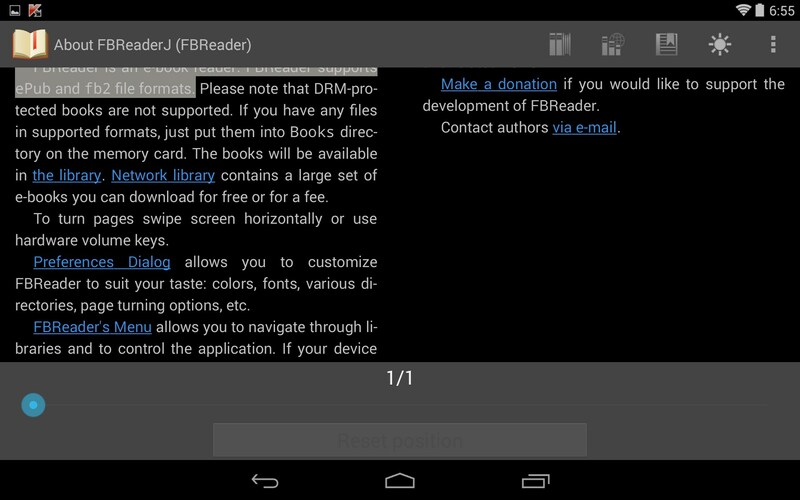 FBReader for Android is a competent, no frills reader. I like the minimalist approach, but the look is very dated and doesn't offer much beyond the basics. 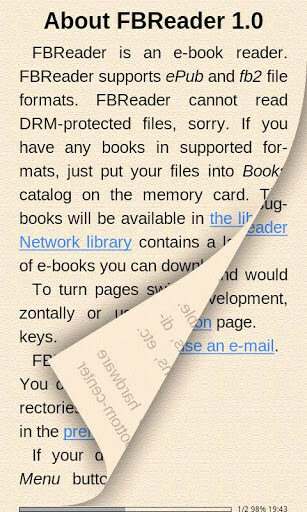 FBReader succeeds at its goal of being a no-frills reader; but perhaps accomplishes this objective a little too well. 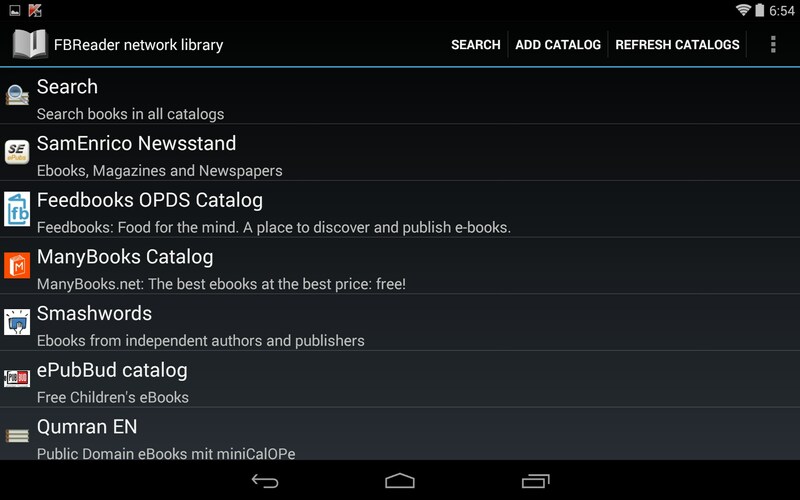 The app presentation is very straightforward, but terribly dry and dated in look. I know when you’re reading, the focus should be on the words and context, but that doesn't mean everything can’t be presented in a modern and pleasing manner. 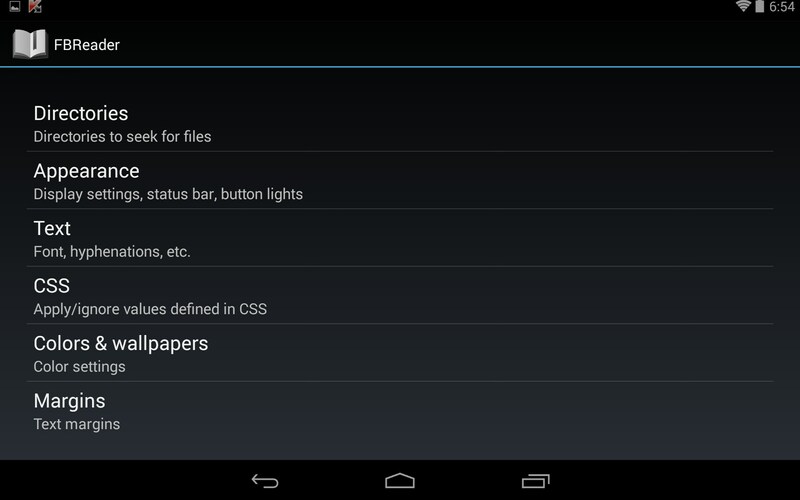 For me, the interface is so pared down, that it makes me question the need for this app at all. 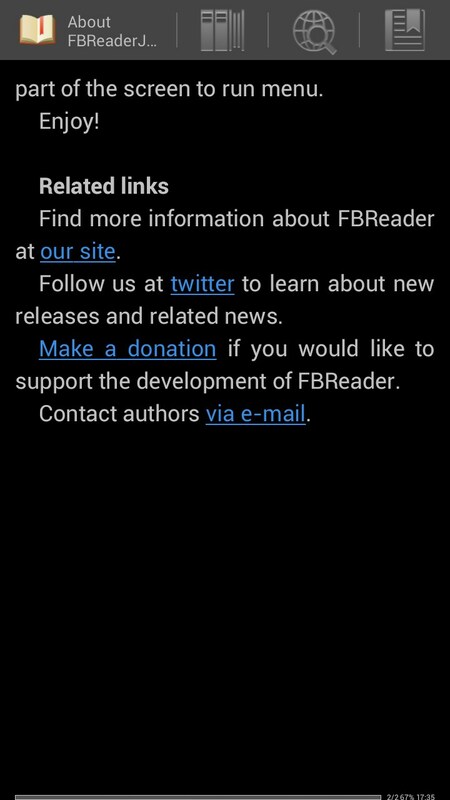 The app loads quickly, mostly because there’s nothing much going on. 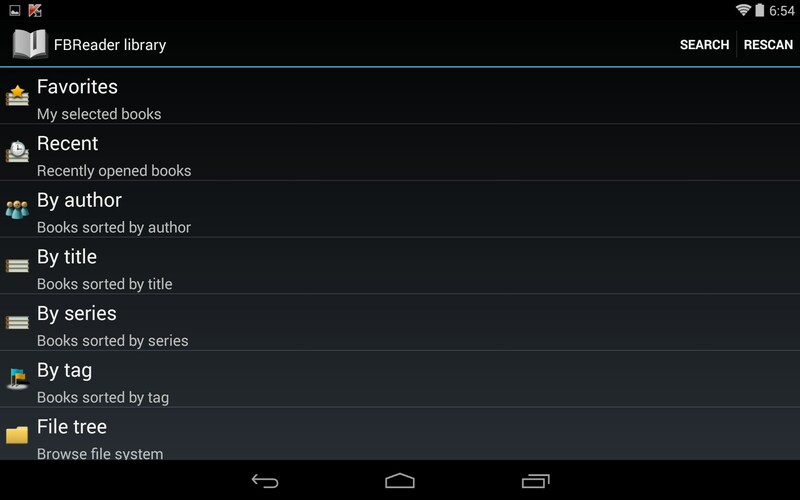 Displayed pages literally look like an old word processor interface, minus the menus. 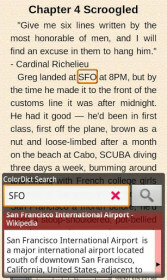 However, the app does offer a host of customization options, as far as color, text size and fonts. 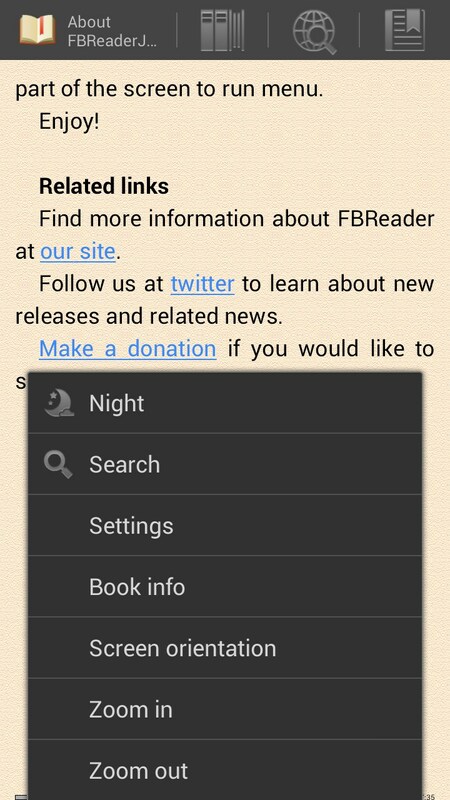 The app also features a night mode, which basically just inverts the text and page for easier nighttime reading. All the menus are nicely presented, though again, a tad dry. 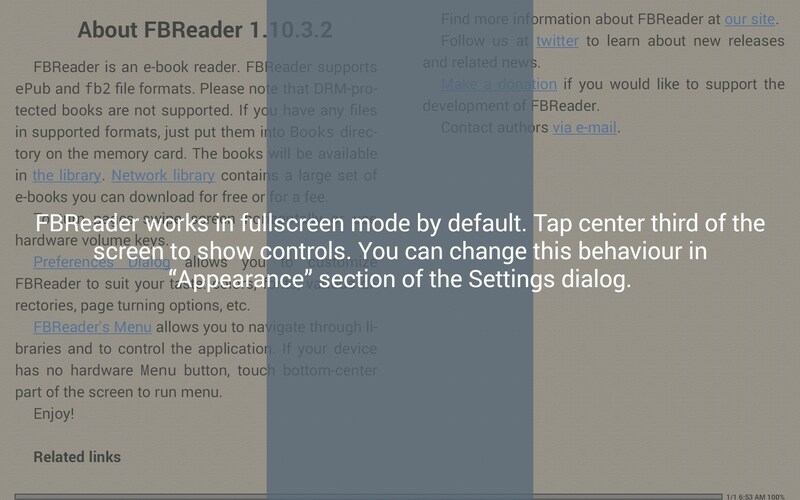 The app features some decent reading controls, and the screen is divided into thirds with the center column activating the control panel and custom settings. 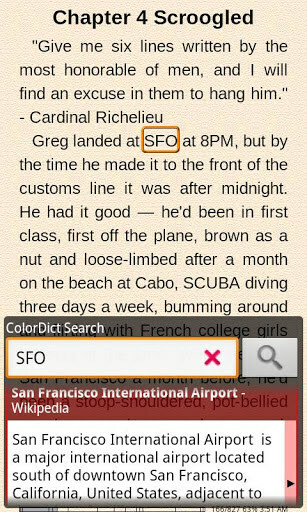 The app uses external dictionaries, which is nice to have, but cumbersome to use. 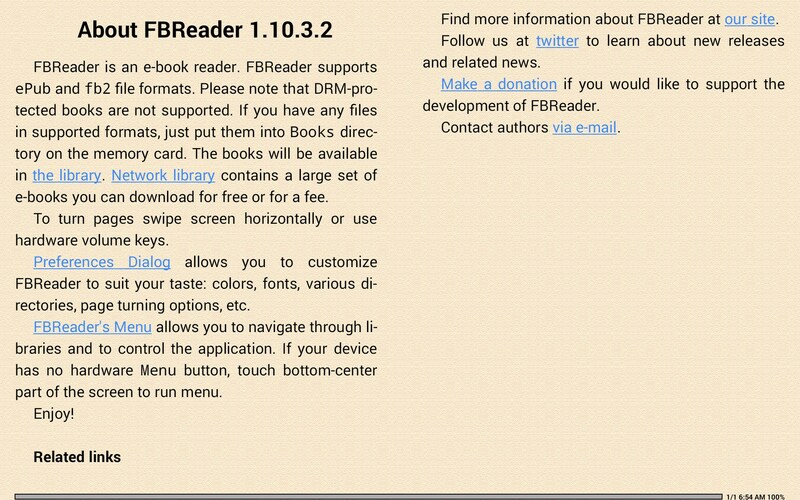 FBReader is a completely competent reader, but just not that exciting to use. 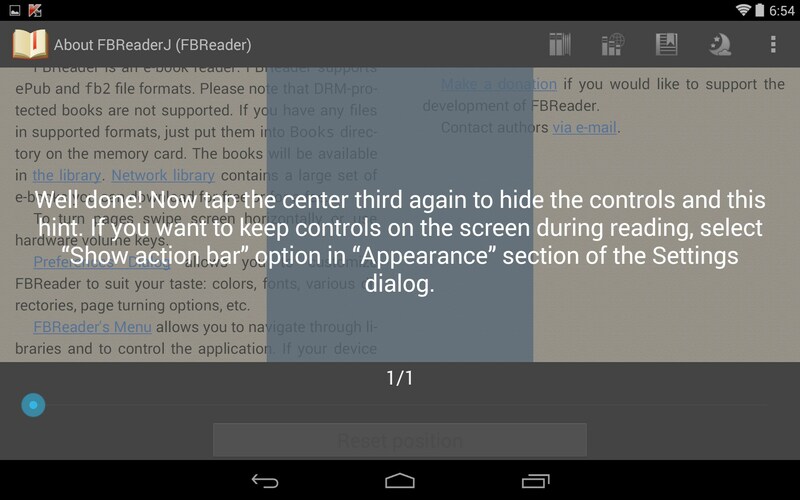 I think this would have been killer in the Android 1.5 days, but by today’s standards, it’s just far too limited. 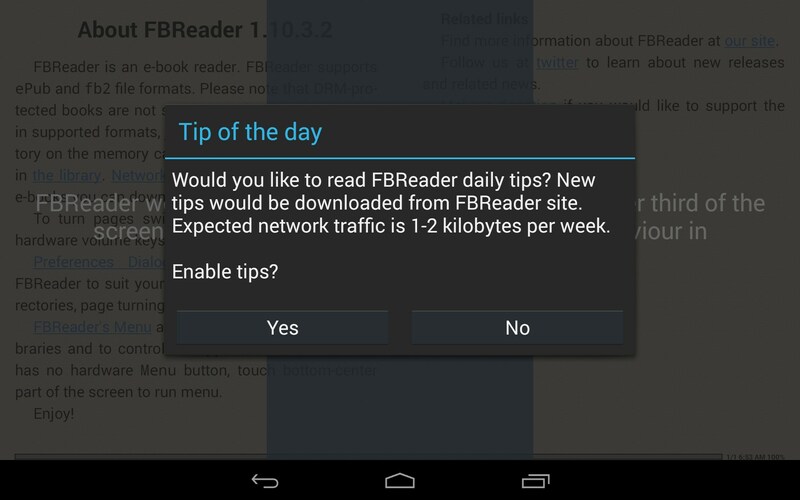 I have tried to get this app onto my kindle fire hex 3 times without success. this is unacceptable. 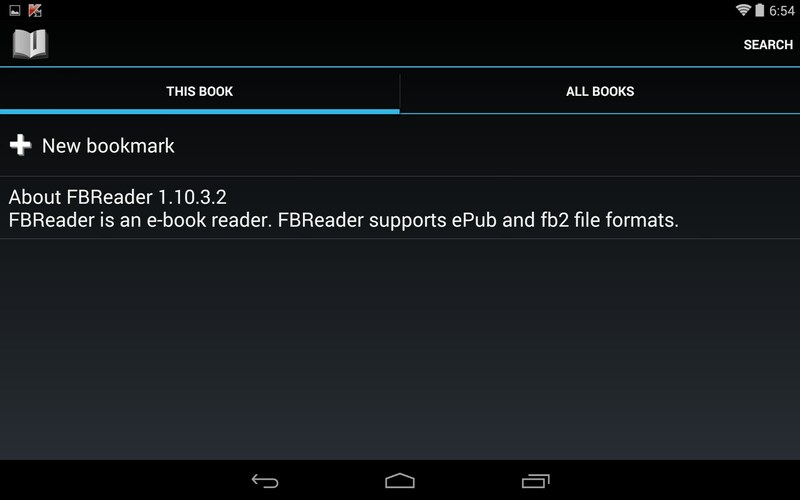 Using the kindle fire is not intuitive. 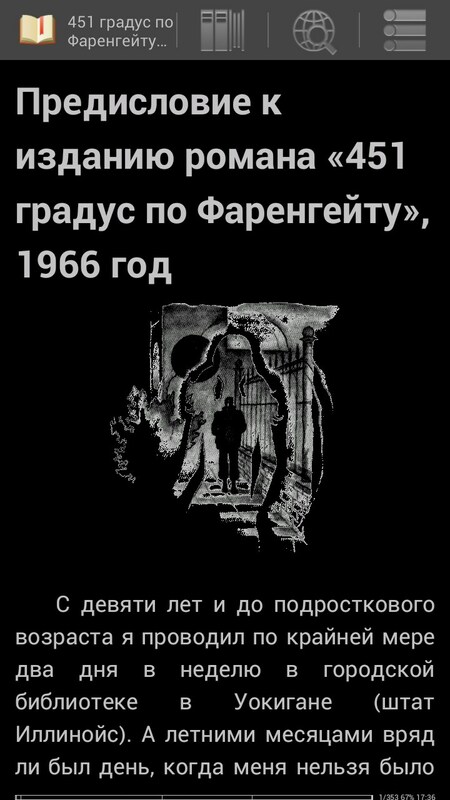 Frankly, I am disappointed with the standard of the software.